BURLINGTON, Mass. – Each summer, pets die from heat-related injuries and it’s not just from being left alone in a vehicle. 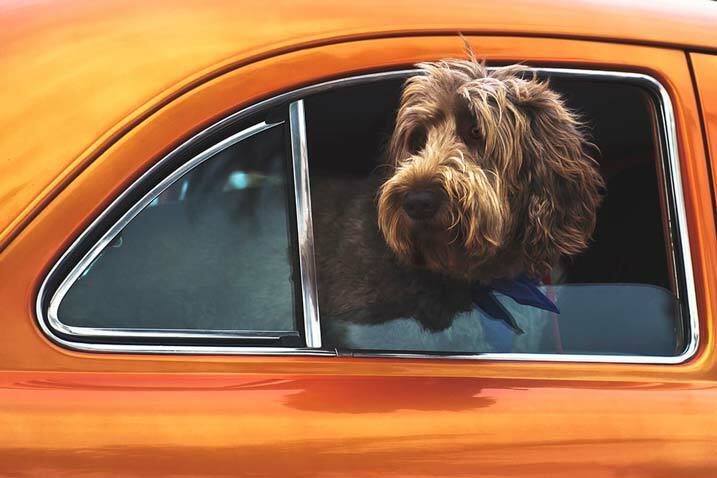 While pet owners should never leave their pet unattended in a vehicle, they should understand the problems posed by summer heat and that an affordable piece of new technology could save the life of their furry friend before the life-threatening effects of heat set in. During the summer months, leaving pets outside for extended periods of time and exercising during the mid-day summer heat can have deadly consequences. According to Dr. Asaf Dagan, the chief veterinarian of PetPace, pet owners should understand the unique physical limitations of their pets and leverage technology to keep them safe year-round. PetPace’s health monitoring smart collar can detect issues like changes in temperature and cardiovascular problems. It can also help pet owners mitigate the serious effects higher temperatures have on pets by notifying owners before injury sets in. Heat-related illnesses are more prevalent during the summer months for all pets, regardless of physical fitness, age, size or breed. Recognizing heat-related symptoms can prevent heat exhaustion or heat stroke if identified quickly. The heat-related death of a pet is preventable if the owner is aware of his or her pet’s signs or symptoms, and products like PetPace’s smart collars can alert pet owners of their pet’s condition before it becomes fatal. PetPace’s smart collar works like human health monitors, similar to a Fitbit or Apple Watch. The device tracks vital signs like body temperature, pulse, respiration and other measurements including activity levels, body posture, heart rate variability and calorie expenditure. If your pet should show signs of a heat-related illness, assist in lowering their body temperature by moving them to a cooler environment, provide fresh drinking water and place cool, NOT ice cold, water-soaked towels on the animal. Pet owners are advised to consult their veterinarian immediately. Dagan also advises for owners to NOT place the animal in an icy cold tub, as cooling the pet too rapidly can lead to worsening condition. For more information on pet health and wellness, as well as information on PetPace smart collars, please visit www.petpace.com. Founded in 2012 and privately-held, PetPace is headquartered in Israel, has a U.S. headquarters in Burlington, MA, and a global sales presence. For more information, please visit www.petpace.com.